Hello guys, the new year has come and we have some good news. This project has started a few years ago, in 2014. We had put a lot of energy into it and was waiting if the idea is sustainable. We almost 30.000 downloads of birdfeeder 4.0. So we can say: "YES, people love it!" We were waiting for proof of work. Now it is time to make the final phase of our project. We had an idea of helping to birds, educate children by attracting nature closer to them. We are still not there. We had a plan to share this product for free, for all of you which has 3D printers. This is 100% done, but we never achieved mass adoption, because this project was not commercial. For all of you, which love this PROJECT, we offer you franchisee of our project. We will provide you with our manual, matrixes for boxes, logos and will put you on our webpage: www.printednest.com as official resellers. Now we are working on some basic franchise agreement, nothing complicated (we don't like complicated things), so if you are interested in, contact us at [email protected] and let's make it real. you can offer us your ideas. We can talk about some basic rules, all is OPEN. Once this franchise will be started all 3D models will be charged for others to protect our resellers. You can still print it for your own personal use, but no more available for download. So I am so happy, that project is still alive, and this social experiment will be finished. If you want to join let us know, your printednest team. I have a relatively small printer... To fit in it will have to scale down to 60%. Will it still be strong enough? How big will be the aperture of the feeder? Shout out from Qatar! Can you please advise on what type of double-sided duct tape is to be placed at the four legs? can you please recommend the brand name/dimensions by providing an Amazon.com product link? for tape see main description, there are some dual lock tapes. Beautiful birdfeeder and great design. But why the invisible meshed bottom under the solid bottom? Sure hade som issues with stringing. Slicing it in cura and printing with wood filament on a CR-10 Any good settings on this combo to share? A free hanging birdfeeder would be a great complient! Nice design but difficult print. I got the cage to work but could not get the antler to print (several failures). I used a tree branch instead. No birds using yet. Used a quarter for the window safety device. Used superstrong exterior double sided tape for attachment. Got mine to print in pla wood 220° 90m/s first attempt fell over. Second attempt I turned the heated bed off after first layers. Very new to 3d printing mine came in super stringy. in ant model there is a problem because there is a free space from the "raft" thats why its mostly imposible to print this without fail. Great Model! But how do you clean the feeder? The plate can not be removed and waste will be collected in the bottom. Would it not be better to replace the plate by a bar? Then the bottom could be filled with food and cleaned if necessary. Do we know any more about the magnetic connections to the window? The link for "binding on the window" Is broken and does not pull anything up. I am wanting to make this but want to know the best way to attach it to the window first. Could you attach suction cups somehow? We printed 3.0 because the food stays dry (ish). We were also wondering of we could print 2 times the top and install to antlers and hang it. then 2 birds can sit on it and feed. Whenever I try to print it, the very first part of the first line gets bumped when the extruder comes back around and knocks it off. Sometimes the rest of the print will cover it and it ends up sticking, but it kinda messes up everything above it for awhile. I'm using a skirt to try and clear the nozzle so I'm not exactly sure what's going on...thoughts? Make sure you have Z Hop turned on and if it is already try to increase the amount of z hop. That might help. This is coralated to slicer settings, or printer settings. Nothing to do with design. Just finished printing the main body today. It took about 12 hours to finish on my Wanhao I3 and it turned out great. Just have the antlers to do tonight. It was so long ago but I am pretty sure I didn’t. I think I just had to rotate it so that it was diagonal on the printbed. I have just removed it from my window and in all those months not one bird used it. I am ussing Symplify for slicing. For all of my printers. Probably best slicer ever. Even for makerbot rep 2, old one. Which slicer do you use? I love it and made a very succesful print! Thanks! I'm wondering how you made the pattern for the holes? Was it a manual process or do you have a smart way to make something similar? I think it's a great looking way to reduce material for 3D-printed parts, but struggle to make something similar. I've tried various Voronoi generating approaches, but am not satisfied with the results (both the randomness and troubles with having parts of the design not 'Voronoized'..). Hope you're able to share some insights! Hello, thats why we did it manualy. Each part was tuned in detail a test printed many zimes before release. We had this ideas, of course, but ended with structural issues. Design was developed months. Hi, it was manual proces. We are CGI professionals and we did it by polygonal modeling in 3D studio MAX. Just polygons as base mesh, thel shell modiffier and then turbosmooth. Try it with smaller noozle diameter. I can see this first time. Or download again, close simplify. Import again.. it is same geometry as rest of build. Or setup 1 or 2 shells. Try fifferent configuration. Or check geometry healing.. switch off everything. Wonderful print! Looks somehow so weird but impressive even to people who know nothing about 3D printing :) Had some issues with the antlers breaking off before I noticed the upgraded STL. Worked fine with PLA on Original Prusa i3 mk2 with 0,2 mm resolution and 100% infill. Took a while though, roughly 24 hours the first print (on 85% speed) and some 7 hours with the "horns". Well worth it nevertheless. Thanks for sharing! We are happy you love it. needs to be at least twice as thick to leave outside dont waste 12+ hours printing this it will break !!!!!!!!!! Awesome, made a successful print. Total 18 hours exactly. Still have to do the Antlers. I noticed I had some adhesion issues with the build, cracking in some parts and very fragile. I this normal? I had my fan on so maybe it was cooling to quickly. Any suggestions? It depends on many factors as any other prints. Yes it is fragile, but this is for birds and you have to be gentle :). 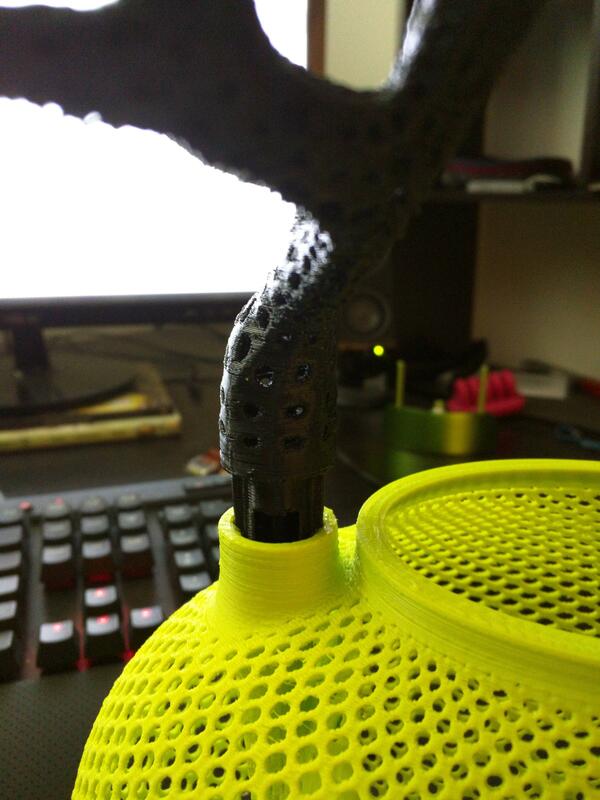 Try another filament... try a little bit higher temperature. We print at 0,3 mm layer height also. A question about print time. What is the average time for printing this object? I have it printing now at 12+ hours. I have not set it to the print speeds mentioned as I am new to Simplify3D. Yes, it takes half of day more less. I have a makerfarm Prusa I3 and I used to have horrible disfiguring filament jams. I think that your jamming MIGHT be because you are trying to retract too fast, perhaps too long. I had my retraction length at 2mm on an E3d and I used to get horrible terrible jams. If you slow the retraction and have a good healthy speed, you can cut out alot of ooze. The guy who made my makerfarm has his Arduino profiles for free in his installation guide under downloads. Just got get it, he is an open source guy. I reloaded the firmware in Arduino (I changed a few parameters for autolevel), and the profile was pretty good quality for Maker bot filament. This file is a beast though, the constant retraction is a killer, if you lower the distance and keep the speed of retraction, maybe you can stop the jamming. Can you manipulate your speeds in slicer? 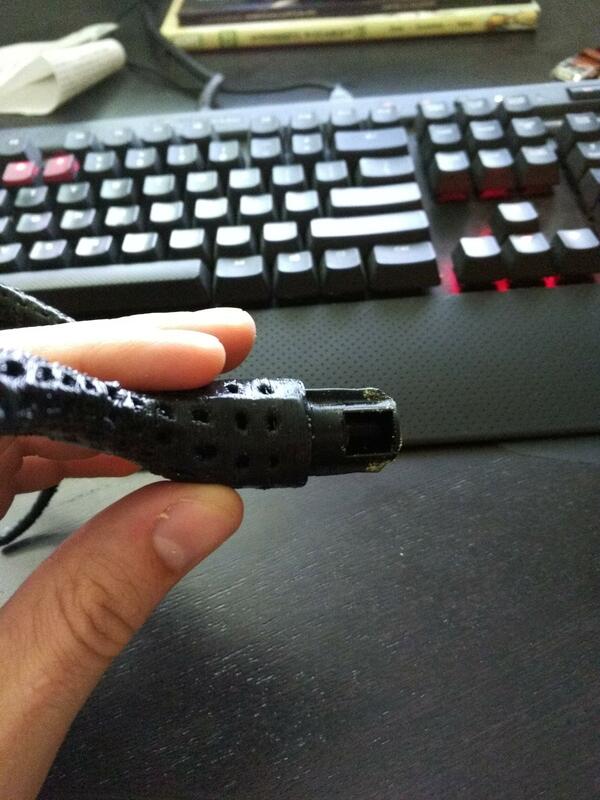 I don't have a prusa, but I was experiencing serious jamming with PLA in my Rostock. I didn't have proper cooling of the e3d v6 heatsink at the time (the PEEK fan wasn't cooling the bottom 2 fins properly) so the PLA would soften and jam on feeding after retraction. So, check PEEK cooling. Lastly, if you can, lower the retraction distance. I have mine set at 3mm (think the default is 6mm on my printer in Simplify3D). Beautiful model. I love the antlers. Thanks again for the design. We do not recommend use our birdfeeder as bird house/nest!!! It has no parameters which are necessary. Entrance hole is too big and predators can enter it even it is on glass! Please use it only for feeding of birds. Perhaps a 'no loitering' sign? Thanks, but still calling it "printed nest". Needs a rename. Thanks for sharing, it is a beauty. Yes you should remove circle which is actualy raft for antlers, and then smal cylinder around pin. this (http://i.imgur.com/QsMo9XJ.jpg) is as far as i can insert it safely, without having to really push on it and fear cracking the rest. finally printed the nest itself, after a bunch of failed tries on a new taz 5 (lots of jamming on the nozzle) and some other issues... but its done!!! so i do have a question, that is probably very easy to figure out. but the antlers do not seem to fit the the hold in the nest. i am probably missing something, but does something on the antler base get removed somehow so that it can plug into the nest? What exactly do you need to know? s3D is amazing and simple. Generaly we print at 0.3 mm layer, but you can use smaller like 0.2 mm layer for smoother surface in slopes. Print speed depends on printer, but 50 mm/s could work for most of them. I am printing at 100mm/s at makerbot2 and 45mm/s at ultimaker 2.you dont need any raft and supports for this design. It it seft supporting structure. Infill at 100% is OK because there is only a few parts of geometry which is hollow, but especialy for antlers it is key parametr. Just slice it and check how print head is moving. iz Should move piece by piece in central part. Sometimes it moves randomly and it has crashed print. Temperature at 190 degrees with pla, and if you have heat bed put it around 55 degrees. Use blue painters tape or glue..
Is there any chance you can save the factory file from S3D and share it? I'd like to print the nest but also see what settings you're using for future prints. I have S3D but am new to it and could benefit from seeing a file setup correctly. I'm using a Flash Forge Creator Dual. Probably wrong slicer settings. Dont heal 3d model in slicer. the file that is coming up does not have the holes. why is that? Hi Mike, you are absolutely right, but it is not birdhouse, it is birdfeeder. Big birds never sited on perch, even if there was food for them. They are not able to sit on it. This is tested for 2 years. Neather pigeon. But thank you for your opinion. Ah, my apologies. The name Printed nest threw me off. I thought it was for nesting. Does anyone realise that the antlers perch will act as a nice place for a large bird to stand whilst it eats the babies inside? Really, i am not joking. Small birds need to nest in places where bigger birds can't get to their babies. If you print this you need to at least leave off the antlers so that the young birds wont become seagull or magpie food. You could also make the opening smaller so the birds are better protected. "Removing Perches: A perch on a bird house is more than just decorative, it is dangerous. Birds do not need a perch to move in and out of the house, but a predator will use the perch as a convenient handhold to steady themselves when they raid the nest. By removing any perches or similar ornaments that predators could cling to, you make it more difficult for them to access the birds inside the house." In the instructions it says the infill should be 100%, is that correct or am my I missing something? Update: Disregard my question. I just realized that since the drawing is already hollow, the infill will not matter. Thanks. You should scale down both parts in same ratio. Down scale it automaticly but manualy. For example both parts at 80%. I actually just rotated it 90 degrees. It was facing the wrong way inside of a rectangle and coming up just a dash short facing the short way. I haven't reprinted yet, but hopefully once I do, the branch I already made will fit. It really is a nice design! If birdfeeder_4_0_ant_thingiverse.STL makes you trouble, try 2015_02_05_ant_update.STL - smaller gap above raft circle. Should be more stable and should not stick out of buildplate. Hey I am using Ultimaker2 and it estimate to be 26+6 hrs and reading some of the comment it seems like some of you did it in 8+6 hrs and I am wondering what are the printing speed and traveling speed so i can shorten the waiting time. I've been trying to print the perch but when it starts the arms of the antlers the mounting post breaks away from the base and i get several hours of filiment spider web. Any ideas would be greatly appreciated. Im using flash forge dreamer, s3d to slice, the main part of feeder came out great. There is a small gap between antlers and circle. You can open this stl in some 3d program and make this gap a little bit smaller. But gap is prepared for resolution 0.3 mm of layer, and it should work. We are currently working on magnetic binding system. There are neodium magnets printed inside legs. I am using simplify 3D slicer. There is possibility to add additional scripts inside gcode. I need to put there code, which will pause print at specific height, then I need to push resume button. Did you figure it out? I'm wondering if you not bother with inserts and use ProtoPasta Magnetic Iron if it would be strong enough to keep from wind blowing it off. I may have to give it a try. My fear with inserts is the magnet will attract to the hotend and ruin the print. Only one thing can help us, and it is our interactive map, because we are making some kind of research how power full open design/open source can be. Thats why we are asking for registering this products. Please ask other people to do the same. 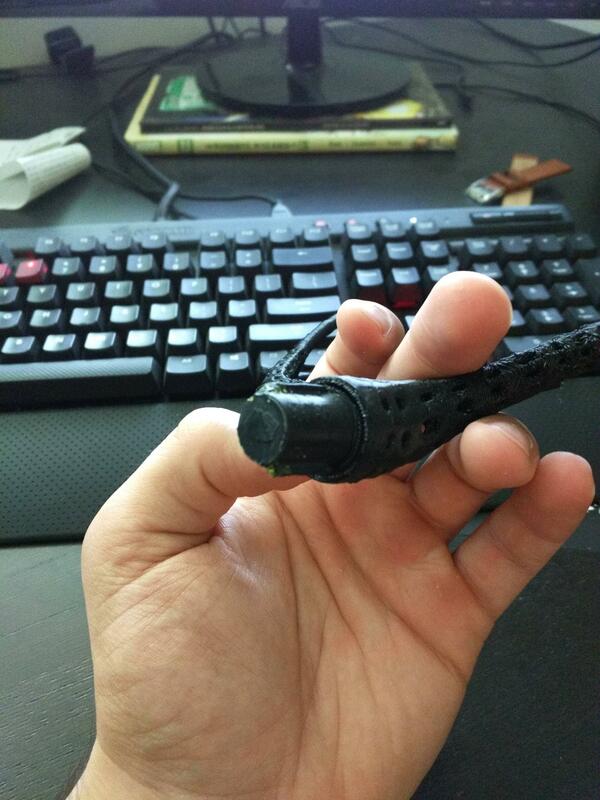 i only manage to print it with support for the bottom part, and when i try to remove the support i break the print.. Still tweaking and tuning my slicing.. Printing it on a Prusa i3 v2 btw. it is designed to the edge of printability. it is designed to save your filament. Well, I have to surrender... I just can't slice the feeder. I have a lovely pair of antlers waiting for something to plug into, but I just can't convert the main body into a file for my printer. I've tried ReplicatorG, Slic3r, Cura, nothing works. I can't even load the body into Sketchup to try and tweak it. The model appears in ReplicatorG and Cura, but then I have to rotate it and lower it onto the bed, saving this stl file triples it to nearly half a gig!! Then poor little ReplicatorG's wheels start spinning and it takes many hours to generate a 137MB gcode file, but I can't then generate .s3g file because it seems ReplicatorG has crashed or died in some way. I have left it running for 48 hours to no avail. Does anyone have any suggestions? Do you have another file I could try it with? Does anyone have a Flashforge Creator or Replicator Dual .s3g file they could share? My local family of noisy miners have started attacking the topknots and bronzewings, so I'd love to be able to separate them all! I printed this thing using Makerbot Desktop on my Flashforge Creator Pro (dual) with Sailfish firmware. I also couldn't get it to even load in RepG. it is Flesh forge creator dual? or sigle? Just let me know what material are printing from PLA? WHat temperature of extruder and heat bed... I will slice it for you if it is in S3D..
Gotta love this community!! Thanks printednest, and joefe for your help. I have successfully got my first nest sitting on a window - MakerBot did the trick. I only used 1 shell but it's pretty weak (as you can see in my photo) so I'll do another with 2 shells as recommended ;-) I also just used double-sided gaffa tape I had lying around. It's such a great and light model that I'm sure this will be fine. hi Blippy, what printer do you use? I can try to check if Simplify 3D is not able to choose your printer, and we can slice it for you. I recommend that you try using kisslicer to slice this. There is a free version available at kisslicer.com. It sliced the birdfeeder model for me in just over one minute. I gave up on Slic3r long ago because it could not handle many of the larger files and took very long to slice. I like kisslicer because it is fast, has good support structures and can handle objects that have errors in them like this one. Thanks for the suggestion joefe - I suffering through trying to set up KISSlicer to work with my machine - not so easy! - but worse was that it left me in the same boat since while it produces wonderfully fast gcode, I have to convert it into a .s3g file, and the only way I know to do that currently is to import the gcode into ReplicatorG, which put me back at square one again because the KISSlicer gcode file wont open in ReplicatorG. However, you inspired me to look a bit further, and given the FlashForge Creator is modelled on a Replicator Dual, I downloaded MakerBot's desktop slicer and had a go with that. Voila! A pretty quick, pretty straightforward way to generate an .s3g file. It has projected a 10 hour print, so I'll update if it finishes, but so far so good at the 18% mark. Thanks again for the response. My bad, I thought that kisslicer could output .s3g files. I'm glad that you were able to find a solution that worked for you. I hear that the Makerbot software is nice. My suggestion of kisslicer stands for those that need to be able to generate gcode. I agree that it can be a little tedius to set up the first time, but the speed and quality are worth it. To get it set up, I originally opened it up next to slic3r to get an idea of what each setting should be and then went from there. where is STL file of a bird? How can I stop the print and change filament in the middle? By the way, fantastic project, it looks amazing! it depends on printer you are using. There is more ways and it differs by printers. For example on Makerbot 2 you can enter cold pause during the print. Exteruder will move to the side, and is in iddle mode. You can list menu, and click on Change filament. Unload, then load new color, and you will press resume. Print continues. WTF! Lets count a little bit. 3000 downloads in 6 days means potential of unlimited count of bird feeders. If everyone will print 10 BFs, which is not utopia, that means 30000 new BFs all over the world in 6 days. And this potencial is still raising up each second. ALL BECAUSE OF 3DP COMUNITY AND OPEN SOURCE. Thank you guys, you are awesome. if you rotate the parts by 45 degrees, the full size parts easily fit on a 200 x 200 bed. hi, if you will scale down both parts, it should work, but question is how small birds will be able to enter it. Yes all design is based on old makerbot 2 printer, which were our first 3D printers. This is for printing with PLA only right? I printed the nest in ABS with no problem. The branch fell apart the first time, trying it again. Printed with ABS using supports or no support needed? Thanks for replying. I didn't use any supports or rafts. Pretty amazing watching it stay together! Good design. I ran it at .2mm layer height, 10% infill 90mm/s print. Like I said, good design, very forgiving. The Antlers/branch thingy is printed by stacking it on a disc that it prints during the same run. For me, the antler/branch gets knocked off of the disc assembly during construction. Still figuring that out. If you get there first, reply. Currently I only have ABS, so that's what I run. yes, please see our manual. This little disk with our logo works as raft, and the you can use it as small disk together with tape as safety system which is connected with your BF by wire. Is that what is on the fingers in the picture? I was curious and had to go searching for an answer. I think that the inherent flex of PLA would render a more durable print. ABS is all I have right know. Amazing how semi-flexible the ABS is in this configuration! Sure, you can detect that the breaking point is not far off, but a real good experiment for getting a feel for the behavior of ABS in a mesh form such as this. I'm definitely missing something. Where do you put the food? How is this a bird feeder? I'm not trying to be rude I just need a bit more explaining. I really like it and will probably print it. This is amazing, may I ask which software was used? I'd be very interested to know how you achieved this variable hole texture? we are using 3D studio MAX. So when a squirrel jumps up on it from the window sill, does it get knocked off the window? Say thanks by giving printednest a tip and help them continue to share amazing Things with the Thingiverse community. Bird feeder 4.0 by printednest is licensed under the Creative Commons - Attribution - Non-Commercial license. Say thanks and help printednest continue to share amazing Things with the Thingiverse community. You'll need a PayPal account to tip printednest. Click the button below and you will be redirected to PayPal. Once the payment is complete, you'll be brought back to Thingiverse.